At the invitation of Bishop Francis J. Haas, the Paulists began work in the diocese of Grand Rapids in the summer of 1947 preaching at the Cathedral of St. Andrew and St. Stephen’s Church. The Chapel of Christ the King was dedicated in 1948. 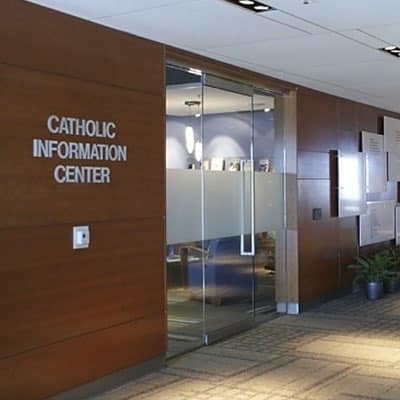 The Catholic Information Center moved to Ionia Avenue and was dedicated in 1964. The chapel renovated and rededicated September 1984. The CIC moved to its current state-of-the-art facility in Cathedral Square in 2008 and the Christ the King community moved to the Cathedral of St. Andrew. Director: Father René Constanza, C.S.P.